In Europe Reset: New Directions for the EU, Richard Youngs looks at the issue of democracy in Europe, identifying a crisis rooted in alienation from the prevailing model of integration and proposing new initiatives for democratic participation by citizens. While the book largely focuses on democracy on the supra-national level, which may overlook the need for improvement both nationally and sub-nationally, this is a well-evidenced and reasoned proposal for reshaping the European project, writes Richard Berry. 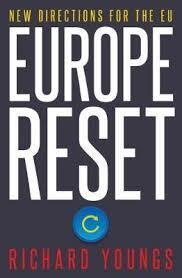 Europe Reset: New Directions for the EU. Richard Youngs. IB Tauris. 2018. At a supposedly crucial summit in Bratislava in September 2016, billed as a meeting where a new course for European integration would be plotted, leaders spent a weekend talking earnestly about their desire to reconnect with ordinary people – yet they did so locked inside a castle, on a hilltop, cordoned off from the city and its inhabitants (vii). What follows, however, is a well-evidenced and reasoned proposal for new forms of democratic participation in the European Union. British readers might be disappointed that there is only sporadic discussion of Brexit in Europe Reset. 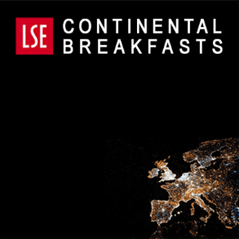 Youngs certainly considers it as part of the EU poly-crisis, alongside similar populist surges in other countries, the economic travails of the Eurozone, terrorist attacks and the influx of refugees: ‘Britain’s exit […] is the most dramatic wake-up call to date that the prevailing model of integration has left many people feeling alienated from the EU’s complex and distant decision-making’ (2). For the most part, however, Youngs focuses on the continuing involvement of all Europeans in democracy, rather than the parochial concerns obsessing Britain at present, apart from a couple of side-swipes later in the book: one against isolationism for ‘contradicting its own premises’ (59), and another against referendums being ‘deployed for self-serving purposes by elites’ (99). Youngs builds his case gradually in stages, although arguably the book could benefit from the author summarising his proposals upfront. After setting out the details of the poly-crisis in the first chapter, Youngs discusses the ‘false solutions’ offered by others in the next, which all essentially boil down to having more European integration or less of it. Instead, Youngs states, we need ‘qualitatively new ideas for reshaping the European project’ (42). In short, across an number of policy areas, new European-level crisis management bodies have become autonomous from governments in de facto terms, undercutting national accountability (66). The author dismisses the traditional measures suggested to address this problem. For instance, empowering the European Parliament will not work, he argues, because it is divided along simplistic pro- and anti-integration lines, and lacks legitimacy with citizens (78-79). Indeed, he accurately points out that the EU already has a plethora of accountability mechanisms built into it. What is missing are ‘participative forums that connect citizens to the EU project’ (81). The key concept in the book is that of demoicracy: government by ‘peoples’ rather than ‘the people’, which has ‘gained currency to express the idea that citizens participate both in the national democracies of their countries and the common democracy of the EU’ (72). Drawing on the work of others who have devised this concept and seeking to develop it further, Youngs is interested in fostering a participatory democratic process, a fashionable and laudable idea. The added element is that this participation would cross borders, at least in terms of influence. Citizens affected by the decisions made in another state would have some voice in that state’s democratic process (101). Youngs sees promising potential in a wide range of international citizen initiatives – eighteen are listed in total – although none are considered innovative enough. Instead, a much deeper ‘Compact of European Citizens’ is required, the precise norm of which would be ‘a cascade of lot-filled assemblies from the local to the national to the European level’ (125). Europe Reset therefore focuses on democracy in supra-national decision-making, when of course there is a pressing need to improve democracy at the national and sub-national levels. This review would argue that is certainly where proponents of better democracy should focus their efforts initially. Youngs himself hints that this is a potential limitation in the perspective of his book. 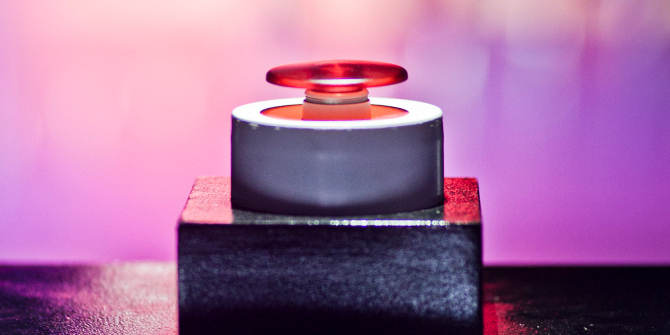 However, it’s also true that supra-national governance doesn’t give leaders a get-out clause from the need to let citizens participate, not least because EU decision-making processes have themselves – perhaps necessarily on occasion – weakened traditional forms of democratic participation in member states. Whether this form of demoicracy is the answer is something European citizens can only hope to find out. This article is provided by our sister site, LSE Review of Books. 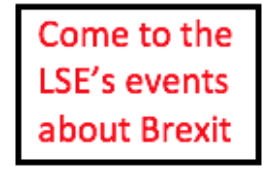 It gives the views of the author, not the position of LSE Brexit or the London School of Economics.